Baking together is a great way to celebrate family. 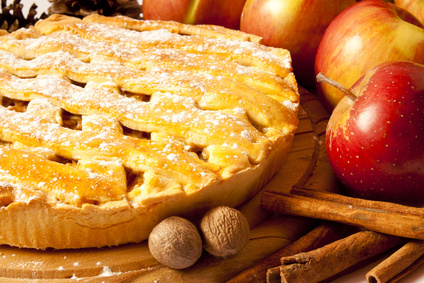 Gather your family into the kitchen to bake a pie, a cake, cookies, bread, or all of the above. Decide ahead of time what you would like to bake and gather the ingredients. Let each family member participate in “the mixing of the ingredients” and “taste-testing” along the way (my job in the family bake off is often that of taste-tester!) When it is all put together, pop it in the oven. Let anticipation build while your masterpiece bakes. After all, the best part of this family fun night is yet to come. Enjoy the aroma of freshly baked pie. Watch the cookies melt into shape. Stand in awe as the bread rises. Let your mouth water and your stomach growl in anticipation of my favorite part of this family fun night. Finally, when everything the baking is done, slice up your treat and eat it warm, fresh out of the oven. Nothing is better than warm cookies that bend when you pick them up…or bread that steams when you slice it and melts the butter immediately…or hot pie that melts the ice cream. The anticipation of this treat is matched only by the satisfied taste buds that prompt smiling faces! For a real adventure, double the recipe and give half of your family project away. Give a loaf of bread to a local shut-in. Take a cake to a local nursing home for the staff to enjoy. Plate up a dozen cookies for your mailman. Not only will you have a great family fun night but you will teach your children a wonderful lesson in generosity and kindness as well. And, truth be told, nothing is more fun than giving to others as a family! Model kindness. You didn’t think I would start anyplace else, did you? Whatever we want our children to learn, we have to practice ourselves. So, be kind to your children. Be kind to your spouse. Be kind to friends. Be kind to strangers. Encourage children to think kindly about others. Here are three ways you might consider doing this include: Pray for others. Take turns with your children recalling kind deeds you observed during the day. Take turns with your children recalling kind deeds you engaged in during the day. Let your children take personal responsibility for the acts of kindness they engage in. Instead of giving your child money to donate to a charity, let them earn the money through chores and give a portion of their choice to the charity they choose. Be creative coming up with ways your children can take personal responsibility in their show of kindness. Teach your children to consider other people’s feelings. You can do this by acknowledging their emotions—“That seems like it really makes you sad” or “Wow, you really look happy.” Acknowledge other people’s emotions as well. Perhaps a friend was mean because “he doesn’t feel well” or a friend was crying because “she gets sad when people tease her.” You get the idea. Help your child look beyond the outward behavior to see the underlying emotion. Expose your child to need. Of course, we need to do this at an age appropriate level, but do not shelter your child from the needs around them. Depending on their age, they might understand the need for water in some countries, an elderly person’s need for friendly interaction, or a friend’s need for a hug. Along with exposing your child to need, give them the opportunity to volunteer and meet the needs of others. This can range from helping an elderly neighbor with yard work to working with an inner city food bank to raising money for a mission to taking a mission trip. When you child sees a need and expresses a desire to help, assist them in volunteering. Create giving traditions. As a family, develop traditions that involve giving to one another and to those outside your family. You might give toys to a charity each year or a financial donation to some charity. Maybe you will give gifts to friends and neighbors at special times throughout the year. Be creative and develop some giving traditions. Encourage small acts of kindness. Teach your child to pick up trash rather than simply pass it by. Encourage your child to hold the door open for others, speak politely, offer to pick up something they see another person drop, give a hug to a friend in need…the list goes on. Encourage small acts of kindness. What are some ways your family has carried out these 8 suggestions? What other suggestions would you add? How have you taught your children to be kind? I remember the saying, “If you don’t have anything good to say, don’t say anything at all.” I see the truth of that statement more and more as I age. Some things are just better left unsaid. 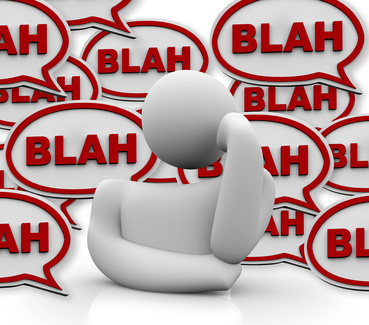 Here are six phrases that are better left unsaid in families. These phrases can devastate family relationship and family members. “Can you be more like…?” “Your brother never did that!” Comparisons diminish people. They wreak havoc on a positive self-image. Most comparisons place the listener on the negative end of the comparison. But, even being on the positive end of a comparison tears a person’s self-image down. No matter the comparison, the person being compared is thrust into a competition for acceptance and value, one in which they are always at risk of falling on the negative side. Avoid the risk; don’t compare. “I should have never gotten married.” “I wish I could just get out of this place.” Any threat of separation, divorce, or leaving—whether it be direct or indirect, blatant or subtle—increases fear, insecurity, and distrust in the person making the threat and in the overall family stability. Insecurity, fear, and mistrust results in misbehaviors tantrums, arguing, clinging, and other behaviors that strain a family and demand your attention. “My mother says….” “When I grew up, my family….” “You’re acting just like your mother (or father).” Bringing the in-laws or grandparents into every family argument is a sure way to push your spouse away. Whether you praise your own family or criticize your spouse’s family, you will alienate your spouse. 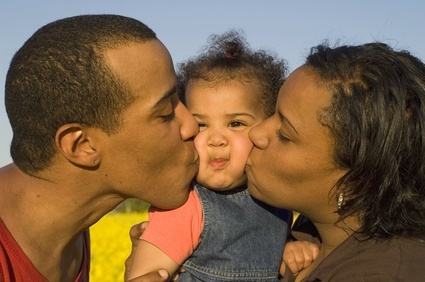 When you marry, you leave your father and mother to form a new family with your spouse. Sure, our parents can provide us with a model to emulate and offer us advice on occasion, but our conflicts belong to use. Our decisions are ours to make, our traditions for us to establish, and our lives for us to shape. So, leave the in-laws out of it. “It’s about time you….” “Good job, finally!” “Yeah, that was a smart decision.” Sarcasm and back-handed compliments do not build stronger family relationships. They break down relationships and people. They make others feel like they “are not good enough” and can “never do enough to make you happy.” Ultimately, they make us feel unaccepted, inadequate, and unworthy. “Why are you upset? You have no reason to be upset!” “You like this and you know it.” “That does not hurt; now quit crying!” Telling family members what they like and how they feel is intrusive. It communicates a belief that you know them and can manage their inner life of emotions and thoughts better than they can themselves. It sounds rather arrogant, doesn’t it? It also makes them feel like something is wrong with them. It produces an extreme sense of guilt and inadequacy. It creates a sense of dependence. Let your family members tell you what they like and how they feel. You can simply take the time to listen…and learn. 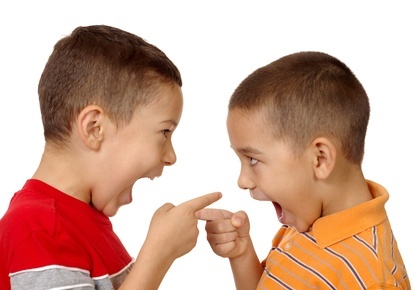 “How come you never…?” “Why do I always have to yell to make you…?” When absolutes (words like “never” and “always”) enter into family conversations it “always” spells trouble…oops, I mean it “often” means trouble. Absolutes are powerful words that imply unchanging traits, no exceptions, never right, and always wrong. These phrases damage a person’s self-image and motivation. They replace understanding with resentment and intimacy with bitterness. If you hear absolutes coming out of your mouth, slow down and recall times that counter the absolute…then watch your perspective of the person’s behavior change. Rather than using absolutes, focus on the specific, temporary situation being dealt with. These six phrases can devastate family members and family relationships. Avoid them. Even better, replace them with phrases of encouragement, love, and appreciation. Parents like to see their children perform well. Who am I kidding? I like to see my children perform well. In fact, if you are like me, you may get more nervous than your children do when they get out on the field for the big game or up on stage for the first act. We want them to experience success. That success, however, begins long before they walk onto the field or stage. It begins even before practice starts. Our children’s performance success begins with their mindset…and their mindset begins with us! How we encourage and praise our children helps develop a mindset that promotes success or a mindset that promotes fear and anxiety. Praise that focuses on innate, natural talent promotes a fear of failure. If our praise voices a belief that genetics or natural talent made our child the excellent performer, we have raised the ante on performance anxiety. I know it sounds paradoxical; but, if I think my talent is inherited, “just who I am,” or a natural ability, I may believe that failure simply shows the limit of my ability. Rather than face that limit, I might underperform. I might stick with what I know I can already do and not risk reaching the limit of my ability and the start of my failure. Praise that focuses on natural talent creates anxiety and teaches our children to underperform. When they experience failure (which we all will) or finds themselves struggling (which we all do), they may believe they have reached the limit of their ability and quit…since other kids seem to have more ability now. Broad, generic statements like “You are really smart (or talented or good)” will have a similar result. They practice hard and they practice deliberately. They practice consistently over the long-term in spite of any experience of failure or temporary setback. In fact, they come to see failure as a key factor in their growth. They believe that persistent effort will bring success. Notice what each of these factors have in common: practice, effort, and hard-work! When we teach our children to believe that hard-work and effort (not simply natural talent) reveals the true extent of their ability, we have helped them get their head in the game. When we let our children know we value effort more than achievement, and practice more than perfection, we help them get their head in the game. So, here are five ways we can send the message (he real “M.E.A.T.T.” of teaching our children the importance of effort) that effort is more important than the final product. Model working hard toward a goal and enjoying your work toward a goal. Children learn a lot by watching us! Encourage your children to persist in reaching their goals. 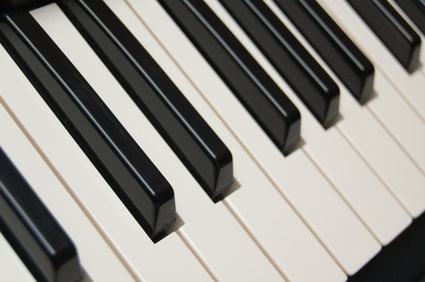 John Hayes, a cognitive psychologist, found great composers, athletes, and artists had a “decade of silence” in their field before reaching success. This “decade of silence” was filled with practice…practice…and more practice. Effort! Teach your children how to practice deliberately. This might include breaking the final goal into multiple steps, breaking a task into component parts and practicing each part individually. This also includes slowing down, practicing specific skills, and getting feedback. Teach your children to have fun! Add variety to their practice to avoid boredom. Let part of the practice involve aspects your children really enjoy. Work hard and have fun! Give your children the MEATT of effort and you will find their persistence improves and, as a result, their performance will improve. They will have their head in the game. Movies can provide the starting point for a great family fun night. A family movie night can begin as easily as renting a movie to watch as a family. Order some pizza and pop some popcorn, turn up the sound, and turn down the house lights to get the real flavor of going to the theater. When everything is in place, you have the makings of a great family fun night. If you want to go all out for your movie-based family fun night, let the movie serve as a theme for a whole evening of fun. Dress up according to the movie theme. Fix dinner and snacks that fit into the movie theme. For instance, you could dress up as Vikings to watch “How to Train Your Dragon.” While you watch “How to Train Your Dragon,” enjoy some Viking themed snacks like cheese and crackers, sausage, and berries. Or, you might enjoy watching “Toy Story.” Bring your favorite toys to the movie viewing (so they can enjoy the movie with you of course). Dress up like Woody, Buzz Lightyear, or one of the other characters (like Hamm). Enjoy some ham sandwiches (not to be confused with the character Hamm) and a dessert of “Squeeze Toy Alien” (AKA-Little Green Men) cupcakes (click here for recipe). Use your imagination, watch a movie with your family, and, above all, have a great family fun night! “Idle hands are the devil’s playground.” I have heard that statement many times…and, I know the truth in it. Laziness, the habit of doing nothing, leads to trouble! However, in our culture we have swung to the opposite extreme with our children’s schedule. Rather than having “idle hands,” our children are overscheduled, pressured to be involved, and pushed to achieve. In an effort to give our children “every opportunity,” we fill their schedule with multiple activities. Because we fear they might miss out on future opportunities and successes, we pack every evening with at least one children’s activity…and two to four activities on the weekends. We rush from one activity to another, handing our children a protein bar or a happy meal between activities and letting them veg-out with a game on their IPad during the car ride between events. Slow down for a second and consider: What are we really accomplishing with this frenetic, child-focused lifestyle? What are our children learning? What will the long-term impact be? When our children are overscheduled they become exhausted, agitated, and irritable. They snap at their friends and us more often. They have a difficult time settling down and even getting to sleep at night. They become more easily upset and exhibit a more difficult time managing their emotions. We seem them grow moody, hyperactive, and impulsive…all resulting from a hectic schedule with little to no rest. Filling our children’s schedule with activities may actually backfire, too. WebMD (Read article here) reports that the number of children involved in youth sports has doubled over the last 20 years while the number of teens involved in high school sports has dropped to an all-time low. Three out of four youth who start sports before the first grade drop out by the age of 13. Many experts suggest this has occurred because our children are getting burned out. The constant pressure to succeed and the constant drive to participate leaves them burned out and in need of rest. In addition, with no unstructured down-time, our children never learn how to entertain themselves. They need outside sources to constantly entertainment them and motivate them. They do not learn how to manage their own schedule. Even more, the implicit messages heard by our overscheduled child include “You need constant self-improvement to please your family and be a person of worth” and “Unstructured time is wasted time; relaxation produces guilt.” In overscheduling our children we have not planted seeds of success but seeds of a stressed-out workaholic with few coping skills and a great potential for strained relationships in the future. We need to replace the “idle hands is the devil’s playground” with another saying…like, “Take rest, a field that has rested gives a bountiful crop” or “It takes a little work and a little play to teach a man to live.” Let me make a recommendation based on several sources. Allow your child to have some unstructured down-time every day–no scheduled activity, no TV, no video game; just time to relax and figure out what they like to do. Engage your child in an activity of their choice for at least 20-30 minutes each day. Play catch, play checkers, run to the store, or simply sit on the porch and talk. The activity really does not matter. The most important thing is to enjoy time with your child. Consider the impact of your child’s schedule on your whole family. Remember travel time, impact on siblings not involved in that particular activity, impact on meal time, impact on finances, impact on homework, etc. Limit your elementary school age child’s involvement in structured adult organized activities to no more than 3-4 hours per week. That means no more than one sport activity and one church/social/community activity per week. I realize this sounds limiting, but the benefits for your child and your family will be well worth the challenge. And, as your child moves into middle school and high school involvement time will change. Our children need us to manage their schedule. They need us to help them find balance in the devil’s playground. We all know and love the “pay it forward” stories. Just last Christmas (2013), a customer at Starbucks generously paid for the order of the next person in line, who also paid for the person in line behind them, and so on…for 1,468 customers! (Read this story here) I also love the commercial (Watch it here) for “Random Acts of Kindness” in which one person shows kindness, inspiring the recipient of that act of kindness to show kindness to another person, who is inspired to do the same…and on down the line, contributing to an ongoing spiral of kindness that results in an Utopian environment of generosity and joy. We love these stories…. I love these stories. But, research suggests this is only part of the story. As Paul Harvey used to say, we need to know “the rest of the story.” People do not only pay generosity and kindness forward. We also pay greed forward. In fact, generosity gets paid forward more often as equality and fairness not as more generosity. And, people tend to pay greed forward more vigorously than generosity. Research suggests this is true for work tasks as well as finances. So, if we are the recipients of a stingy, greedy gift…or, if we are given the worst chores while someone else does the easier, “more enjoyable” chores, we may pass on the greedy, boring task out of our frustration and anger. What does this mean for our families? An act of kindness to another family member may actually inspire more acts of kindness. A show of generosity toward family may promote more “fair sharing” among family members in the future. Acts of kindness and generosity can create an environment that promotes further kindness and sharing, an upward spiral leading to greater intimacy, joy, and celebration. On the other hand, sticking other family members with the worst chores will encourage them to do the same to another family member. Stinginess, greed, and self-centered actions and decisions by a family member can create a family environment promoting further greed and self-centeredness, a downward spiral leading to further frustration, isolation, and pain. Which environment will you promote in your family? The choice is yours. Start building an upward spiral by practicing kindness and generosity within your family. By the way, if you find your family already in a downward spiral initiated by stinginess, greed, and self-centeredness, there is hope! The study mentioned earlier also found the negative emotions that drive us to pay greed forward can be reduced and even reversed. In the study, simply having a person rate how much they enjoyed three cartoons (a fun, humorous task) reduced the likelihood of passing the greed forward. So, if your family is caught in the downward spiral of stinginess and self-centeredness, reverse the cycle by stopping “one thing” and introducing “two new things.” First, stop “one thing”—engaging in stingy, self-centered behavior. Second, introduce “two new things”—kindness and generosity. 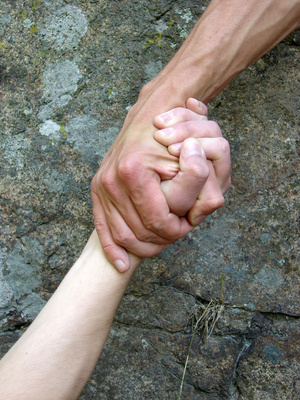 Think about the other person and offer to do the more menial task (an act of generosity and kindness). Third, add some fun into your family. Play some fun game. Share some funny cartoons or your favorite joke. You can do all three of these things at the same time. Do all three and watch as your family spiral changes direction and becomes an upward spiral motivated by kindness, generosity, and celebration. Let Your Children Experience the Joy of…Risk? Many of my childhood memories involve risks I took and the lessons I learned from those risks. Here are some of the lessons I learned: I can only climb so high into a tree before the branches become too weak to hold me; you can only go so fast on your bike on a gravel- covered turn; throwing rocks demands great caution; do not keep your acorn collection in the house; make sure people really hear and understand when you ask to destroy their favorite washtub to make a washtub bass; you get burned playing with fire; and seriously, you need to look both ways (several times) before crossing a street. I learned these lessons in response to risks, small risks and big risks. Some of these memories involve minor injuries. Others simply involved learning an important lesson before an injury even occurred. Either way, I grew and learned from the risk. When I became a father (a risk well worth taking, I might add) I noticed risk-taking begins at a very early age, even before a child learns to walk! In many houses it begins with crawling and the desire to climb the stairs…and various pieces of furniture…or even visiting a relative. Of course, if we never risk falling, we would never learn to walk. Risk-taking does not end when we enter adulthood either. 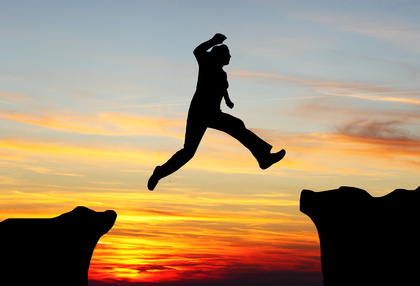 In fact, healthy risk-taking is an important aspect of a successful life. Hopefully, we have learned how to take wise risks, risks with a potential “pay-off” great enough to justify the risk, because of what we learned during our childhood experiences of risk. It’s true; our ability to take wise risks is honed in childhood and adolescence, built on the foundation of minor risk-taking enjoyed throughout our growing years. Taking risks in childhood prepares us for the very real dangers of life. It teaches us what we can and cannot do, when to approach a situation with caution and when to leave well-enough alone until we have some help. 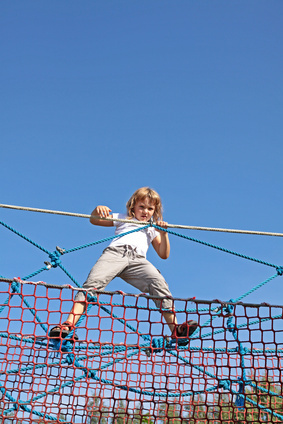 Exposure to risk in childhood builds competence in decision-making and problem-solving. It leads us to develop a realistic judgment of our capabilities. By doing so, risk actually increases our ability to act safely and even avoid injury. So, with all this benefit from risk-taking, why do we as parents jump in to protect our kids from every risk and challenge? I know we do not want them to get hurt, but some risk actually increases their ability to avoid injury in the future. Nothing teaches us the realistic limits of our body and a healthy respect for risk better than a few minor falls, skinned knees, and bruised egos. It is hard to watch our children sitting on the ground, holding a knee, and crying because they fell off their bike. But, the knee will heal and the crying will stop. The long-term lesson can last a lifetime. The lesson they gain from these experiences will depend on our response. We can let them sit with a friend while we walk the bike back to the car and pick them up after buying them a treat to help them “feel better”…and teach them that any action with the potential of temporary hurt is not worth the risk. Or, we can help them get back on the bike and finish the ride…teaching them that they can learn and grow by persevering through wise risks. To say this in a different way, we can let our response to risk communicate that our children need constant protection…or let our response communicate that they can make age-appropriate decisions over their lives. We can allow risk to teach our children how to cross the proverbial street of life carefully and safely…or we can prevent risk in their life and keep them from ever crossing the street, content to live on one side of the street and never experience the possible growth and adventure awaiting them on the other side. We can use risk to teach our children how to engage the unstructured situations of life boldly, alert to potential dangers as they pursue their dreams…or we can respond to risk in a way that leads them to internalize a feeling of vulnerability, a fear of stepping out and experiencing the immense opportunities of life. We can release them to learn how to address problems on their own, take control of their surroundings, and adapt to the unpredictable experiences of life through their experience of risk…or, we can protect them from risk and keep them dependent, constantly seeking safety, and avoiding the unfamiliar. It all depends on your response to the inevitable risk in their life. Which lesson will you risk?